Born in Colorado, Ginger was inspired by the natural beauty of the Rocky Mountains. Now residing in New Mexico she is further inspired by the desert beauty surrounding her home. Beading is one of her guilty pleasures and she has been indulging since childhood. 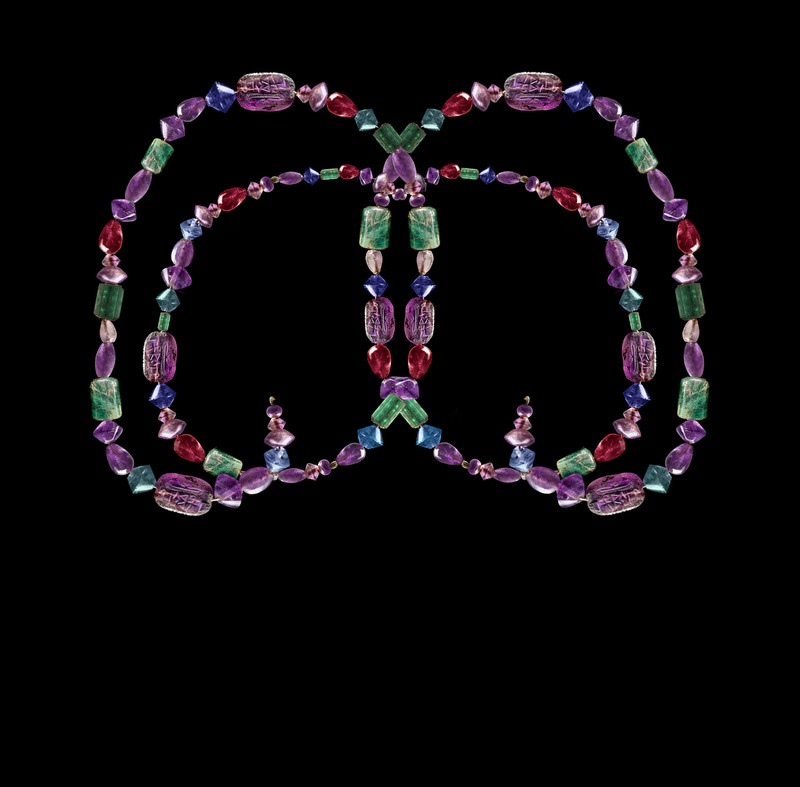 Always with the passion to create, her focus is on developing a colorful play of patterns using beads, semiprecious gemstones and wire weaving. She has an unmatched way of adding seed beads and semiprecious stones into her wire-woven creations. Her work has been in featured in the June 2018 edition of Bead & Button magazine and she was also a featured artist in the Paramount Parawire news letter of July 2017. Ginger is also currently writing an instructional book titled, “Weaving a Sparkled Path”, (Wire wrap jewelry techniques with projects), that is scheduled to be published in early 2019. She continues to work tirelessly on new and exciting pieces in her home studio, has displayed and sells her works of wearable art in New Mexico. She also teaches various wire-wrapping technique classes in the New Mexico area. In this 2 hour class, students will learn to combine cube seed beads with a wire weaving technique that captures and surrounds your choice of Lapis or Iron stone Marquise shaped drop beads. Students will also learn how to weave a pretty lacy finish to complete these earrings. Kits include the wire; beads; ear hooks; needle tool; and a tutorial pamphlet.